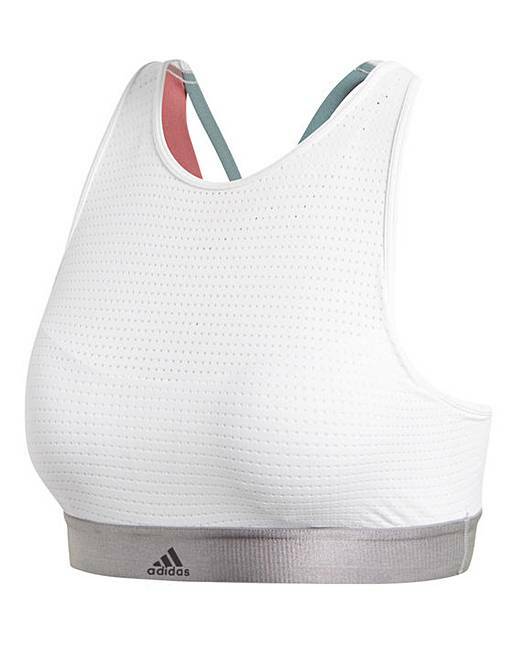 Get maximum coverage without sacrificing style in this adidas sports bra. It's made of lightweight, moisture-wicking fabric and features a high neck and a distinctive strappy back. Designed for medium support, it's lined with breathable power mesh and has quick-drying, removable pads for optional shaping.